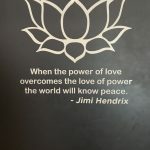 I had a wonderful self-care morning at Just Float in Pasadena, spending an hour in one of their salt water float therapy cabins just relaxing! I met a gaggle of my mommy friends there and we had a lovely morning of peace, quiet, relaxation and meditation. If floatation therapy is new to you, don’t worry…it was new to me too! While float therapy has been around since the 50’s, it is now a growing trend as more and more people are in need of relaxation and de-stressing. Float therapy is also known as an ‘isolation tank’ or a ‘sensory deprivation tank’ but more often than not its called floatation therapy…and means that you spend time floating in a soundproof tank filled with concentrated Epsom salt water at skin temperature. Float therapy helps your mind and body completely relax and unplug. By removing all the factors that put pressure on us daily including stress, noise, light and even gravity…the result is an immense sense of peace and and an incredibly deep level of meditation that would not be impossible in any other environment. 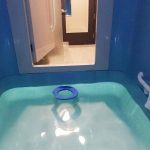 There are tremendous benefits to floating in Epsom salt, especially at high concentrations…and there are over a thousand pounds of Epsom salt in the water in each cabin! Epsom salt is all natural, and its been used for hundreds of years. 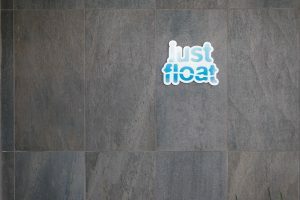 The staff at Just Float was very friendly, and after some quick forms and a short video we were ready to float! Each float cabin is housed with a private shower and dressing room, and the cabins at Just Float are the size of a small room! I was surprised how large they were. I took a quick shower and then I gently floated for an hour with no distractions, interruptions or requests for snacks. Being my first float, it took me about 15 minutes to settle in and trust my head was going to stay afloat and just kind of get situated if you will. Once I got past that I was able to truly relax my shoulders and neck, which where I carry all my tightness and stress. 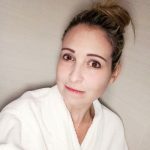 I basically never relax those muscles, ever…so floating was uniquely helpful for me to spend that extended period of time with those muscles relaxed. I did leave the lights on…next time I think I’ll be ready for darkness though! 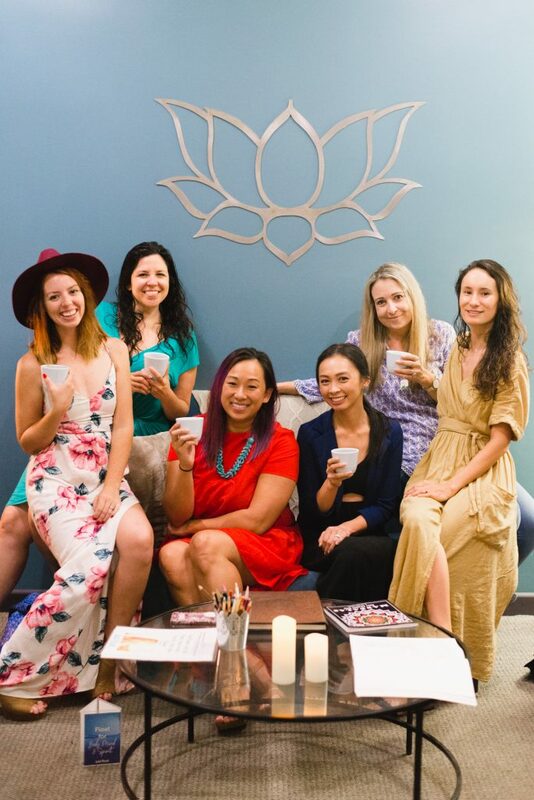 Many creative minds and problem solvers come and use float therapy as a vehicle to expand, explore and create! Truly everyone enjoys an improvement in the mind when we improve how the body feels…they are absolutely linked aren’t they? 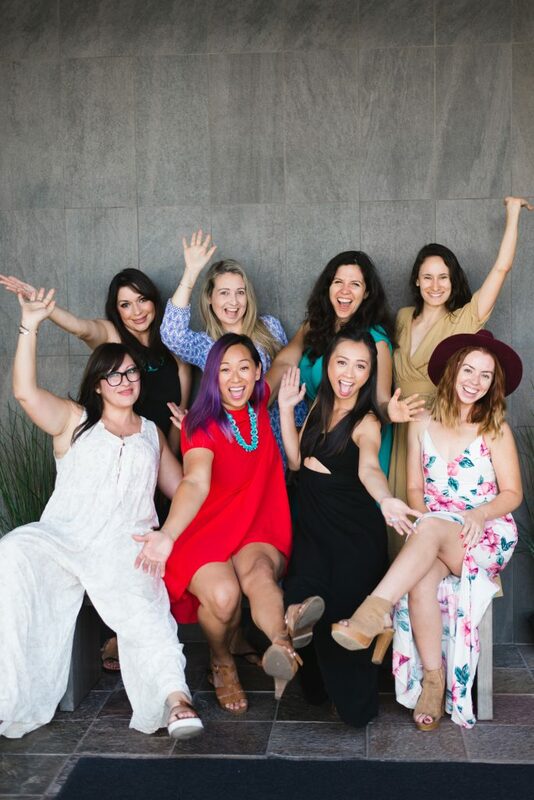 A special thank you to The Hustling Mama for organizing!